If you only do one thing while in Austin, it should be exploring the South Congress area of town. 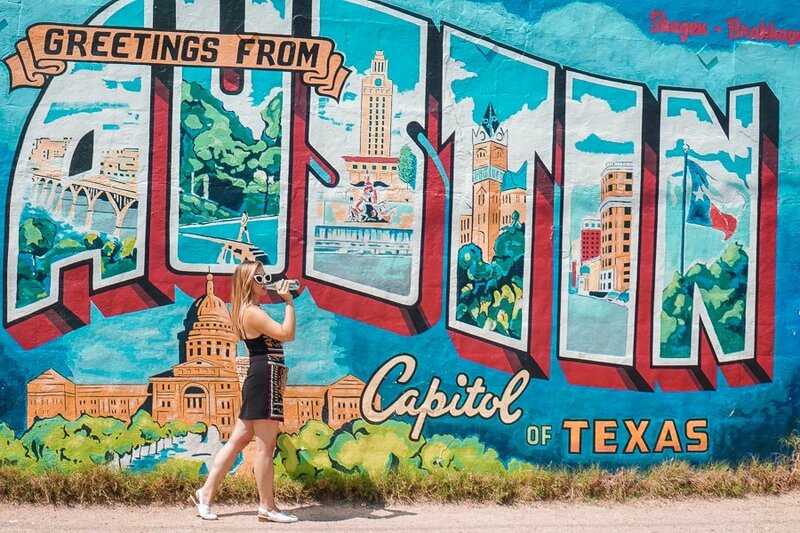 This iconic neighborhood is home to an array of eclectic shops, murals, and street food that help “keep Austin weird”. In fact, the city’s slogan is actually a synonym for supporting local businesses. 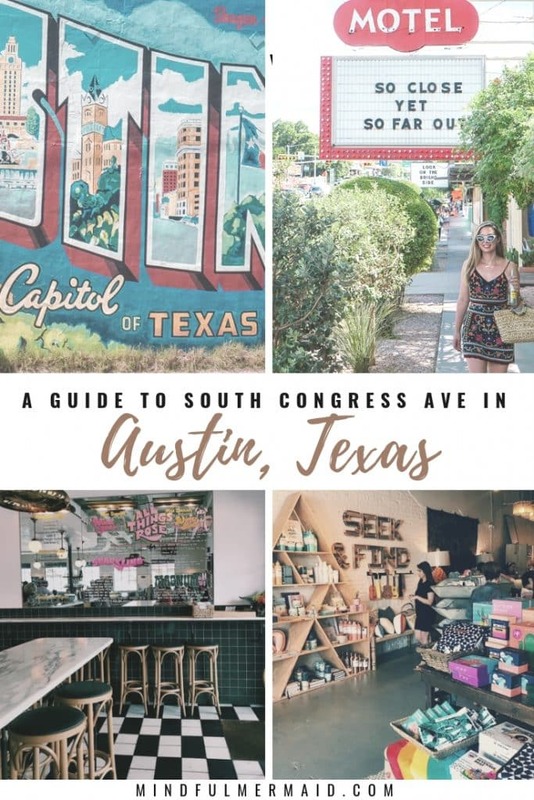 South Congress Ave and the surrounding area is the perfect place to start for shopping and eating local. Before hitting up the various food trucks of South Congress, I suggest explore the variety of South Congress shops. I would recommend starting by walking along South Congress Ave, near Austin Motel, and walking South, away from the river. 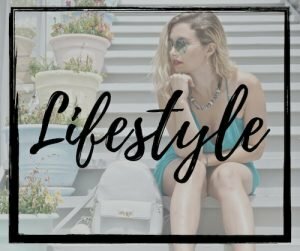 One of the most popular boutiques along South Congress Ave, creatures boutique is a women’s clothing store carrying a variety of local and independent brands. You can read more about Creatures Boutique in my Austin shopping guide here. Did you even go to Austin if you didn’t visit the Austin Motel? This boutique hotel is right along South Congress Ave as well, only steps away from Creatures Boutique. Not only is it one of the hippest places to stay in town, it also has a concept shop in the lobby. 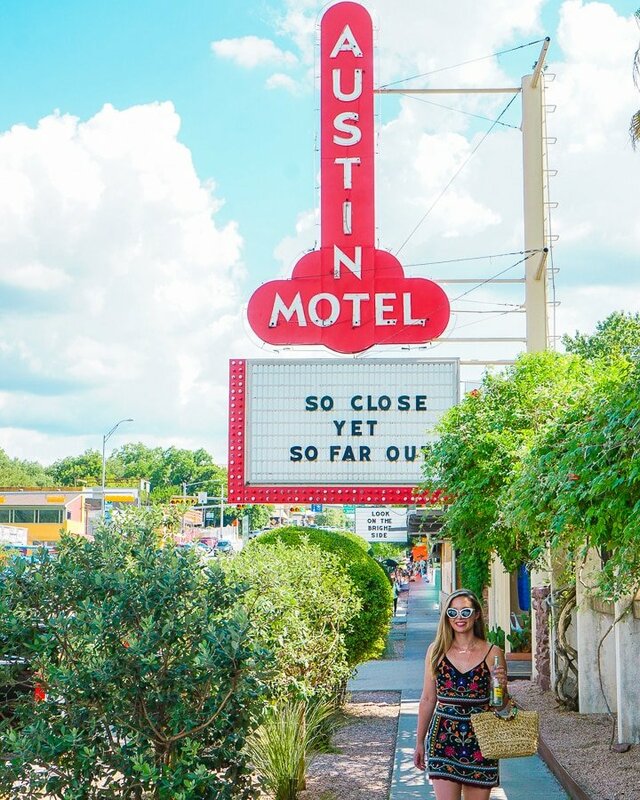 It’s a perfect place to get your Austin swag or even retro-printed swimwear. As South Congress Ave becomes more gentrified, you’ll see bigger brands like Toms, Kendra Scott, and even Anthropologie moving into town. A more local, and ethical alternative to these would be Cove Boutique. The local clothing boutique carries a variety of shoes, minimalist staples, and household items. 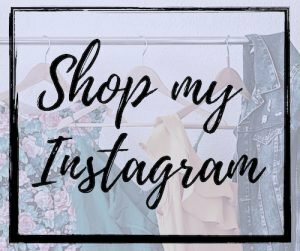 You’ll also find bigger brands like For Love & Lemons as well as smaller local brands. South Congress Ave is great if you’re in the market for a pair of cowboy boots with shops like Tecovas and Allens Boots. However, if you’re looking for something a bit more modern in design, I recommend checking out Teysha Shoes. This female-owned company started in Austin, and partners with artisans in Gutemala to make a variety of one-of-a-kind designs. You can read more about them in my Austin shopping guide here. By far my favorite store on South Congress Ave, Tesoros Trading Company is a testament of the Mexican and Hispanic influences in Austin’s culture. 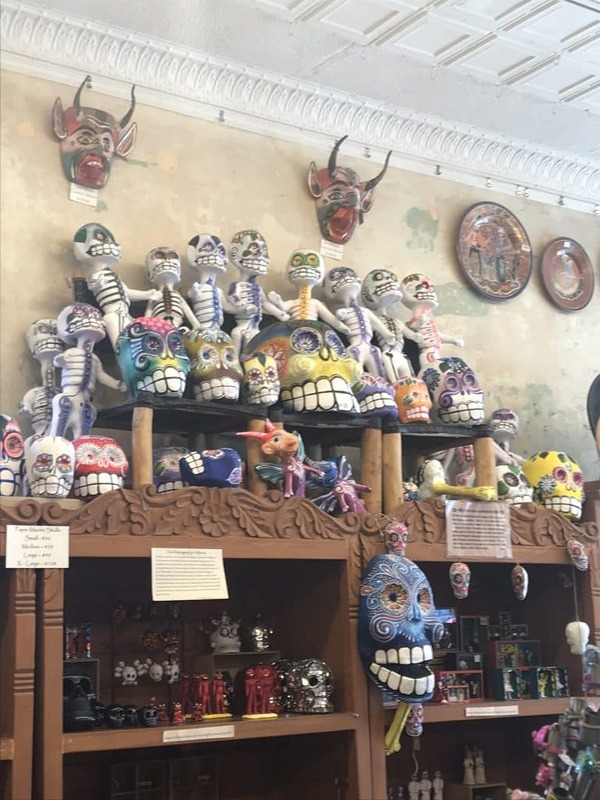 The gift shop carries an assortment of “dia de los Muertos” decorations, jewelry, woven rugs, and other trinkets from around the world. A few doors down you’ll find the affordable women’s clothing boutique called Maya Star. You’ll find a variety of sun dresses, graphic Texas tees, jewelry, and trendy prints inside rustic-chic shop. It’s definitely a spot to visit if you’re looking for a new outfit while visiting Austin. Right off of South Congress Ave on Milton Ave, you’ll stumble into this quant vintage clothing shop in the heart of South Congress. 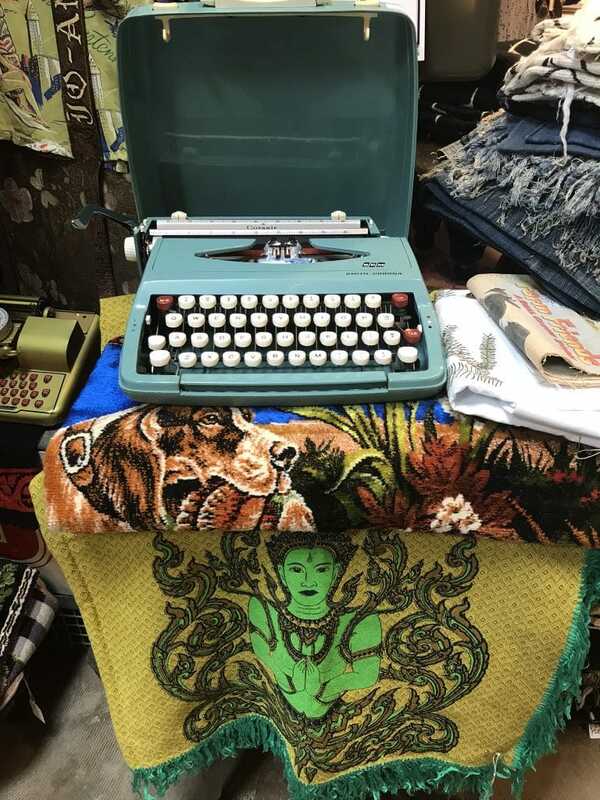 The store may be small, but it offers quite a wide variety of vintage clothing, belts, jewelry, and accessories. 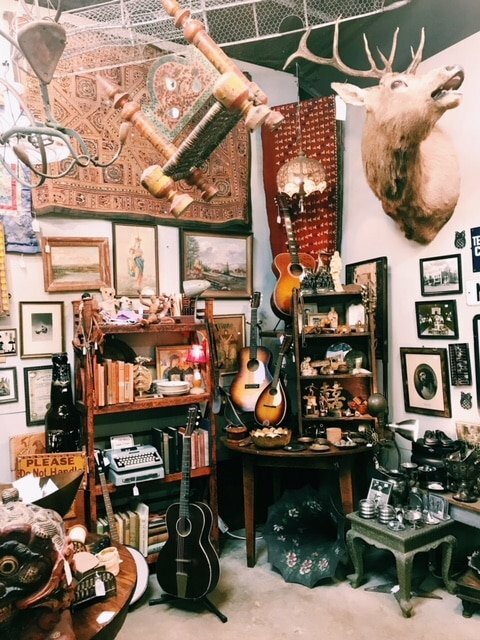 If you’re willing to make the trek outside of the South Congress Ave area, Uncommon Objects is one of Austin’s most popular antique shops. You could spend all afternoon in here digging through miscellaneous objects. South Congress is also at the heart of the food truck culture in Austin. Many of these food trucks you’ll find along South Congress Ave, but some of the best are worth the extra trek further outside of town. Well start with probably one of the most popular spots in South Congress: Jo’s Coffee. 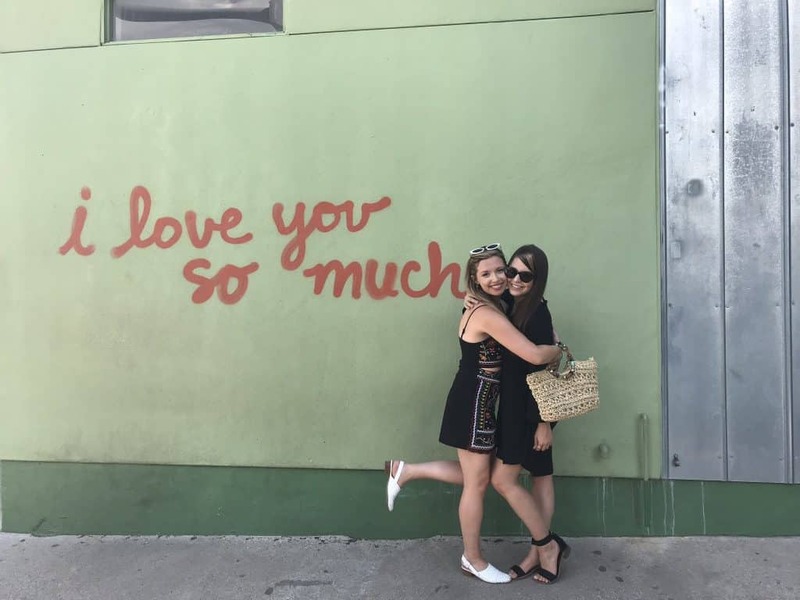 It’s also home to the iconic “I love you so much” wall. Not only are they known for their coffee, people also line up for their breakfast burritos and baked goods! The Cookie Monster! 🍪😍 one of our classic cool combos! Mexican Vanilla with cookie dough, Oreo and Chips Ahoy! Across from here you’ll find Amy’s Ice Cream, one of the most popular local ice cream chains in Austin. They serve milkshakes, frozen yogurt, smoothies and ice cream with a variety of toppings. Especially on a hot summer day, this is a most necessary stop while in Austin. Right next to Amy’s Ice cream, you’ll also find Burro Cheese Kitchen, which specializes in any type of grilled cheese sandwich you can imagine. Indulge in the Mac n’ Grilled Cheese sandwich. If you’re looking for something a bit lighter than all of this comfort food, I’d recommend checking out this Japanese restaurant. You can actually sit inside with AC while enjoying sushi, Asian tacos, soup, or dumplings. 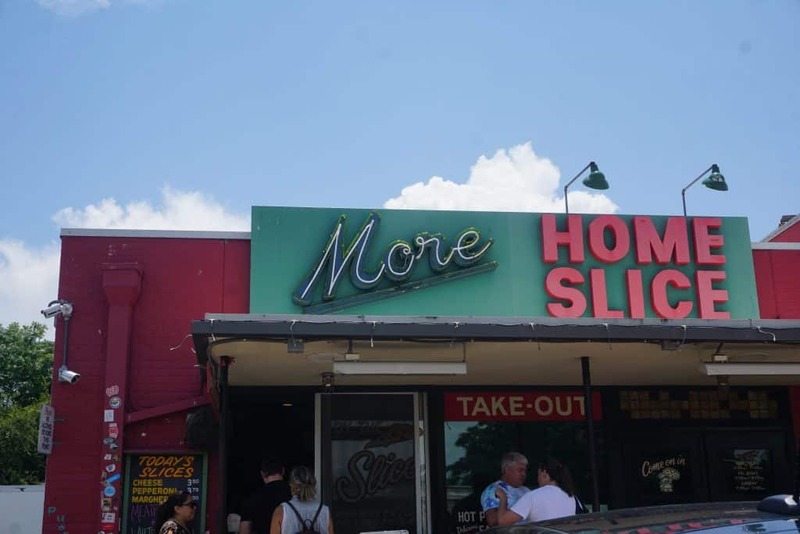 You’ll find tons of comfort food in South Congress, and Home Slice Pizza is at the heart of it all. This casual eatery specializes in thin crust pizza with just about any topping you can imagine. In addition to Via 313 Pizza, this may be one of the most popular places for a slice of pizza in town. Hey girl, you look like you could use a cupcake. Check out Hey Cupcake! along the same South Congress Ave for yet another legendary food truck of South Austin. 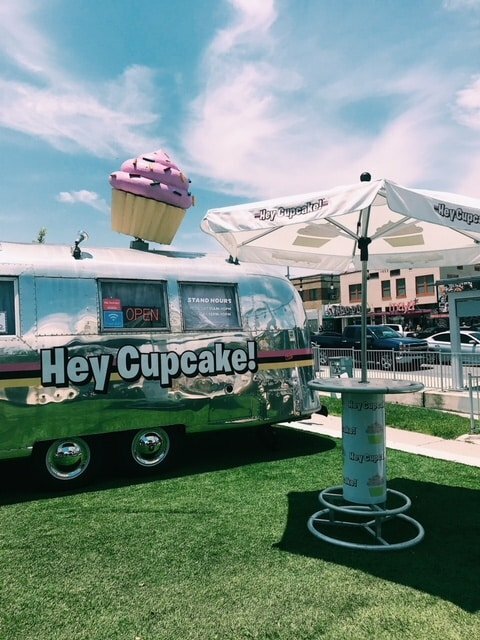 You’ll find classic vanilla, chocolate, and red velvet cupcakes here along with carrot and a cream cheese cupcake named after Michael Jackson. You don’t have to stay at the South Congress Hotel to experience the Central Standard. This restaurant is popular among tourists and locals alike (my cousin who lives in Austin took me here). 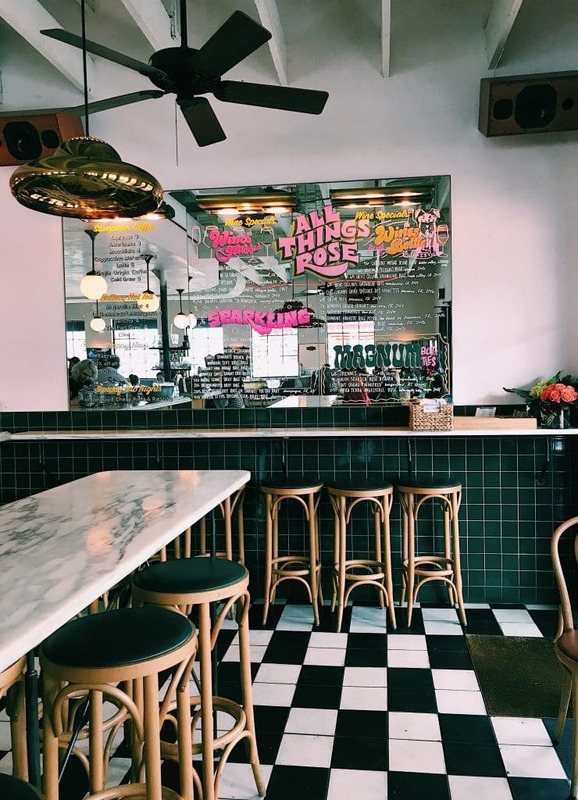 It’s a popular spot for indulging in brunch, or enjoying a more chic dining experience after eating at all of those food trucks! 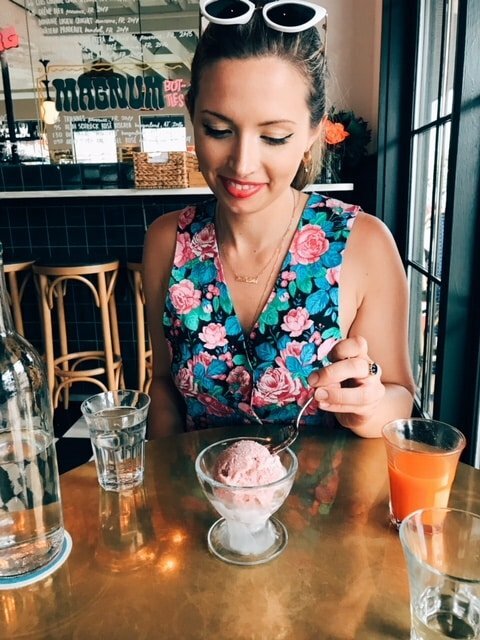 There’s something about June’s that makes you feel like you’re in a Parisian café in the 1960s. It’s a perfect place to escape Austin’s heat, and relax with a friend drink and something to eat. I recommend trying some of their juices and their sorbet! 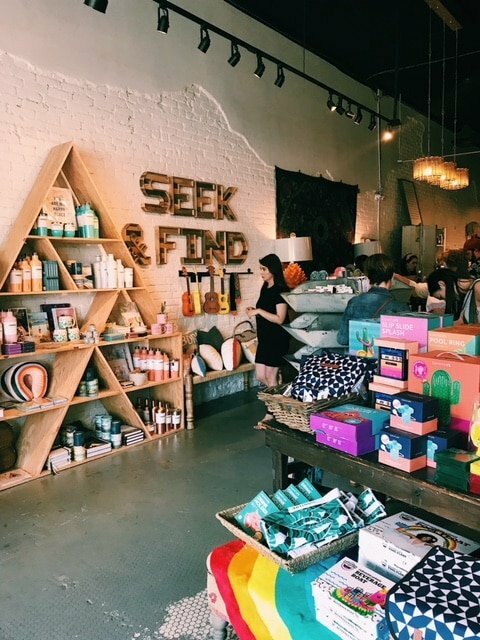 You definitely don’t have to simply just shop and eat while exploring South Congress. In fact, you’re better off working up an appetite by exploring the neighborhood’s cultural influences. Yes, this is where you’ll find the iconic “greetings from Austin” mural. As such a laidback, funky town, it’s easy to forget that Austin is actually the capital of Texas. 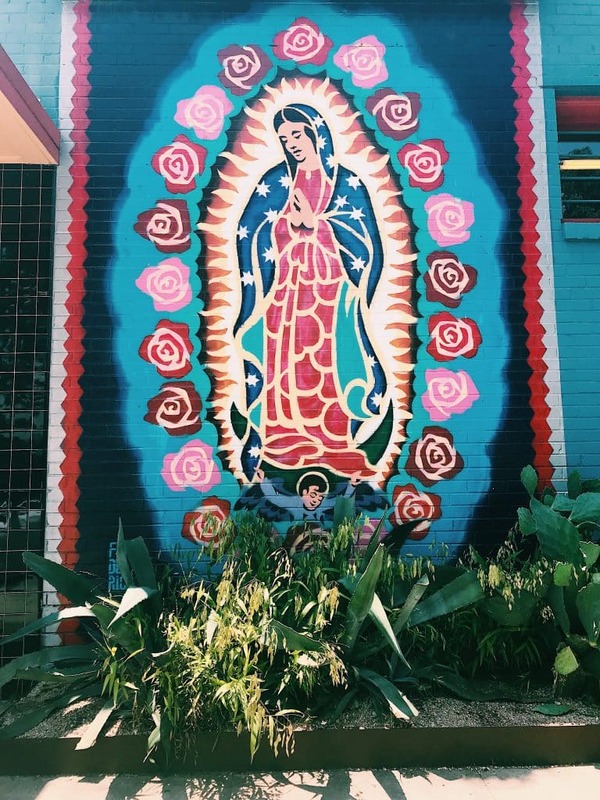 This life-size postcard is one of the most popular murals in the entire city. Willie Nelson, a Texas native, has become a symbol of pride for “the Lone Star State”. 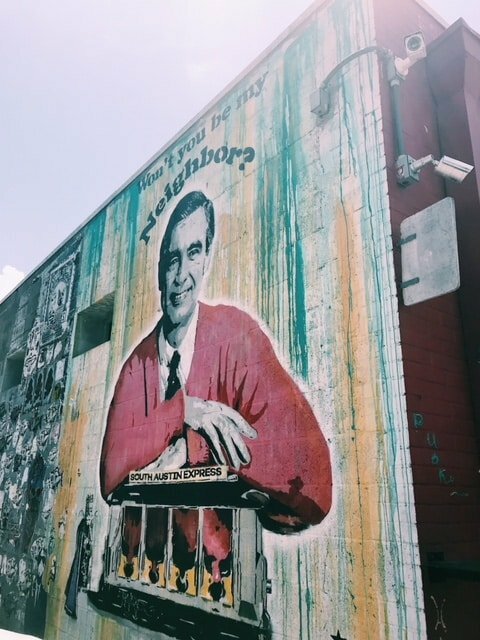 As a 85-year-old musician with 350 albums and his own line of marijuana under his belt buckle, it’s only natural that this mural is found in Austin’s South Congress neighborhood. On the other wall of Home Slice Pizza, you’ll find a familiar face from the 1990s: Mr. Rogers. The friendly Fred Rogers might not have been from Austin, but you’ll see a similar attitude in the Austin community. People are warm with a Southern charm, and generally accepting of individuals from all backgrounds and walks of life. If you’re looking for more of a music “club” atmosphere, check out The Continental Club, known for hosting legendary rock, jazz, and blues shows. The vibe is still very casual, so you don’t have to worry about dressing up. Last, but not least, South Congress is home what is called a Cathedral of Junk. The world-famous outdoor housing structures is built out of miscellaneous junk in a local resident’s backyard. You do have to make an appointment with a small donation to visit, but raving Yelp reviews say that it is completely worth the trip. 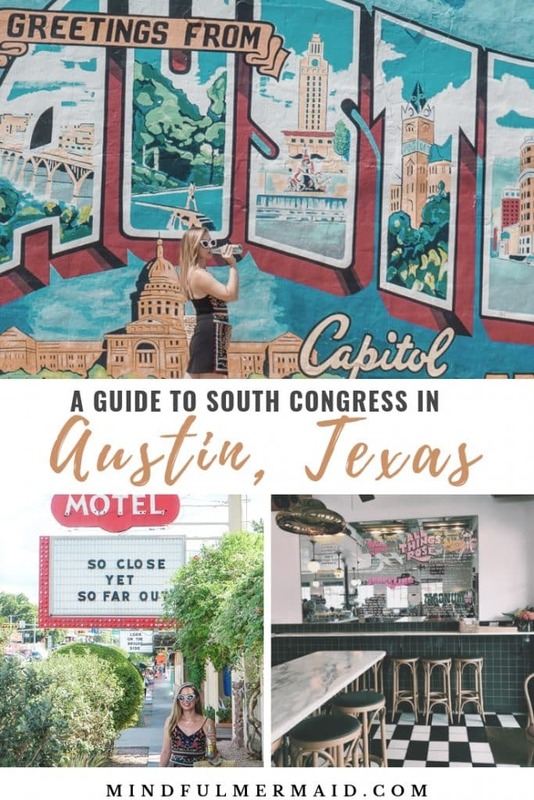 Help “keep Austin weird” by supporting local businesses as much as possible while exploring South Congress and beyond. 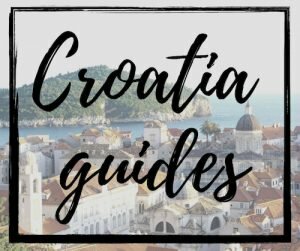 I’m a Minnesota native that relocated to live in Croatia to live my best mermaid life. 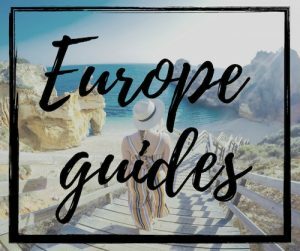 My blog is a curated collection of responsible travel guides and conscious lifestyle tips. 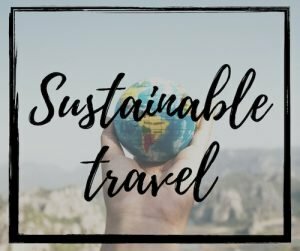 My mission is to inspire you to be a more mindful traveler and individual in your every day life! 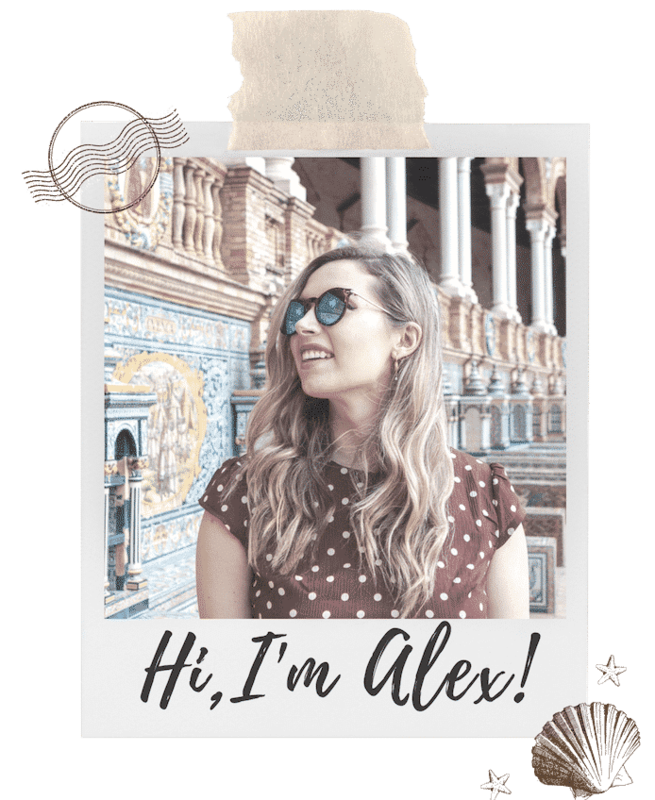 Read more about me here.